At Trecker Fritz & Williams, Attorneys at Law, in Honolulu, we strive to find the best solution to fit your needs after an accident. Our personal injury lawyers are dedicated to helping you and your family find the best road to recovery. Our 40 years of experience helps us find creative solutions for you. Our firm is named by Best Lawyers as a Tier 1 law firm in Personal Injury Litigation – Plaintiff, and one of our founding partners, Collin “Marty” Fritz, was named a 2017 Lawyer of the Year in Hawaii by Best Lawyers for Personal Injury Litigation – Plaintiff. Our decades of experience, recognition by other firms and available resources give us a unique perspective and advantage when handling your case. 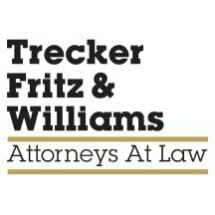 At Trecker Fritz & Williams, Attorneys at Law, we care about helping you and your family recover after an accident – physically, emotionally and financially. Our attorneys know how to evaluate all aspects involved in your claim to find the most creative and beneficial solution. Let us start helping you today. Contact us for a free consultation.